Like many employers, Network Rail had been using traditional risk assessments that relied on estimated vibration values. But with Q2 installed, managers were able to measure actual vibration levels in real time, and it quickly became clear that the standard estimated values weren’t always accurate – in some cases, massively undervaluing true vibration dose. In the case of one particular tool, the assumed vibration magnitude indicated a trigger time of around 2½ hours to Exposure Limit Value (ELV). But data from Q2’s continual measurement showed that ELV was reached in just 20 minutes. 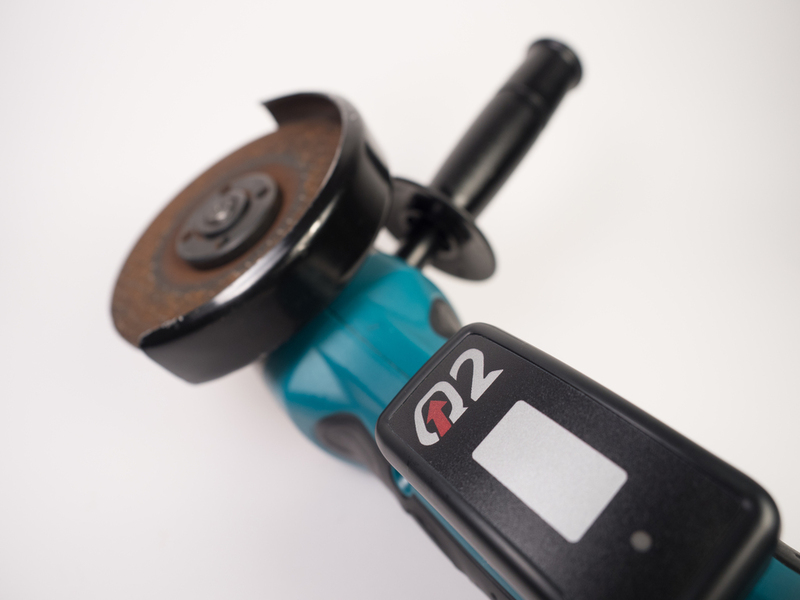 This clearly demonstrates the shortcomings of traditional vibration risk assessments, and highlights the benefits of continual monitoring.Thanks to Q2’s real-time alerts, the operator stopped work before they were exposed to potentially dangerous vibration levels, and the rogue tool was quickly taken out of use. With an estimated 2 million workers at risk of developing Hand-Arm Vibration Syndrome, Q2 could help employers in all industries to protect their people from this serious and disabling condition.